We debated for a little bit about this, and I could tell the muddled definition and usage of the word spa was having a big influence on the discussion. 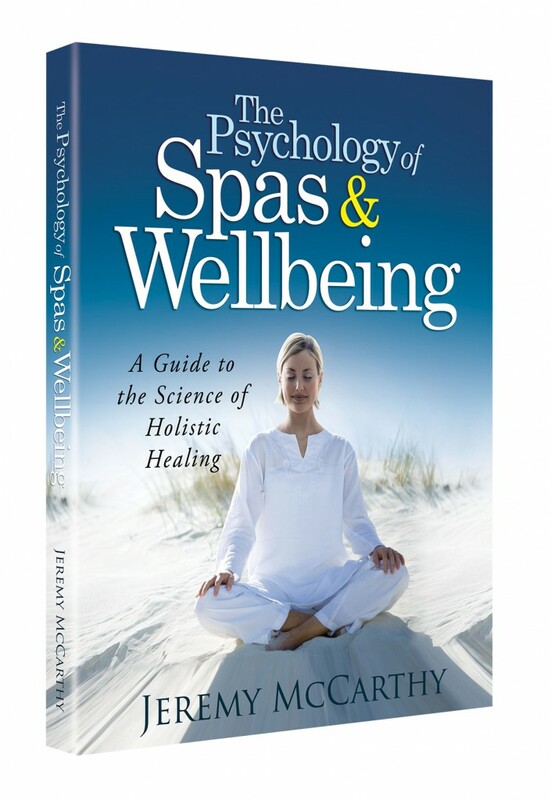 I was talking about spas as places of nurturing healing, rest, recovery, and personal transformation. He was thinking of spas as elitist places to go for Botox, hair removal, or other more indulgent beauty services. The truth is, we were both right. The idea of spas as a surrogate for love would not resonate well with most people, even in the “airy-fairy foo foo la la” world of spas. The spa industry already struggles to rise above the sexual innuendos caused by illegitimate spas and massage parlors. Most spas would not include love in their manifesto due to it being inseparably intertwined in our society with sexuality and the cultural taboos that go along with it. Some of you may have noticed that at the beginning of this year, I quietly added a new logo to my blog. The symbol of an atom, represents my interest in science, and a scientific approach to the pursuit of knowledge. At the nucleus of the atom, lies a heart, reminding me that while I try to be scientific, issues of human wellbeing are complex, difficult to measure, and often beyond the science we have available today. The science of wellbeing and emotion brings us to the intersection of left and right brain thinking. “One can sing and the other can talk,” Vaillant says, describing the two halves of the brain. “One has feelings and the other has ideas.” He says this is why it doesn’t make sense to try and have ideas about feelings. And yet, the feelings are always there, at the nucleus, underlying everything we say, think and do. What does love have to do with it? Everything. Vaillant, G. E. (2003). Aging Well: Surprising Guideposts to a Happier Life from the Landmark Harvard Study of Adult Development. Little, Brown and Company. Vaillant, G. E. (2009). Spiritual Evolution: How We Are Wired for Faith, Hope, and Love. Three Rivers Press. Wow, Jeremy! Beautiful post. And bravo for your logo – clever! I’m a serious fan of yours. PS: Isn’t the decision to go to a spa an act of self-love too? Deciding you deserve it/are worth it/have the ability to honor your need for R&R – that emerges from self-love to a certain extent, doesn’t it? The spa experience that nurtures your concept of love is created by well-intentioned individuals (spa staff) who genuinely want people to enjoy and benefit from their visit. Subconsciously, that intention is borne out of love for people. That is why in an environment like a spa, one must hire for attitude before skill. As an operator, you understand that the most skilled therapist who mindlessly does the massage for the benefit of pay cannot give the type of experience where the person being massage truly feels nurtured and cared for. Whatever is released needs to be replaced with healing energy. It is the therapist who wants to impart of himself or herself that makes the difference. Thanks Marie-Josee, I agree with you on the “self-love” thing. Near the top of my “to do” list for this blog is to dig in to some of the research on self-compassion which I think is so applicable (and so unknown) to the spa industry. Thanks! Hi Rianna, that is a really good point about the employees in the spa. One thing I have found to be an indicator of really good massage therapists is that they started giving massage to their family members when they were younger (maybe as a child they massaged their parents or grand parents, etc.) They didn’t get into massage to earn a paycheck but rather are seeking to earn money while doing something they love. Stacy, I have a different perspective on this than most people in the industry. There has been a backlash to try and get spas to move away from the “pampering/indulgent” side and more towards wellness. But I don’t see these as mutually exclusive concepts. I think pampering is an important part of healing and spas should embrace the fact that they provide experiences that feel good (even, dare I say it, luxurious.) Search back for my article on “In Defense of Pampering” if you want to see some of my ideas on this. As you point out the benefits of massage are not only physical, and they are not only caused by manipulation of the tissues. Some of them come from an act of “self-compassion” some come from an act of compassion from someone else, some come from being silent for an extended period of time being separated from technology. The list goes on and on. Thanks for contributing to the discussion! I love your perspective! Another great blog post! Every Valentine’s Day my husband and I forego gifts and instead go to the spa for a nice couples massage. It is our way of loving ourselves and each other. I had a similar moment to the one you describe with George E. Vaillant. I was attending a weekend with Arnie Mindell (Process Oriented Psychology) after reading his book Dreambody and loving it. I especially loved what he had to say about water since I practice aquatic bodywork – the shamanic/ dream-state parallels he spoke to fascinated me. When I had a chance to say this to Arnie – he made a joke back about ‘wet dreams’! Since Watsu has unfortunately at times been associated with some less-than ethical behavior, I was sensitive to this and saddened. I was equally saddened by his flippant-seeming response. Actually at that time I was more affronted than saddened, being rather attached to my passion and other people’s perception of it. Nowadays I appreciate the Jungian view of soul as a creative, not always polite, and sometimes essentially disruptive element (shadow) of our lives. There is something that spas have to face up to. Medicine also. Clues are to be found in the idea of the wounded healer – someone who is drawn to the healing profession in part because they are seeking healing themselves. That is rarely acknowledged but it needs to be. There is also the client whose dis-ease cannot be diagnosed on the spot and whose reason for seeking out spa cannot be assumed to be anything other than unique to them. I’m sure some do find surrogate love and this matters only if it is manipulated or taken advantage of. Not until we are not affronted by the accusations – but can say something like ‘How curious that you feel like that – what has been your experience or observation?’ – will we really be able to progress beyond the illusions and into greater consciousness. This relates also to your recent post on ‘Science and Spirituality in the Spa’ where you point out that science ‘doesn’t really tell us much about what works for individuals’. This is a key point and one that I have tried to make many times though few seem to really grasp it. The subjective context of an individual’s process (practitioner and client) matters a great deal. Our perception of reality is filtered through our individual consciousness and that is influenced by our upbringing, our experience, our culture, etc. There is no one-size fits although managers and marketers (and even ordinary mortals) might wish this were so. Beyond the formulas and the trends, there are unique individuals with unique needs to be met in unique ways. If we are creative and honest enough. 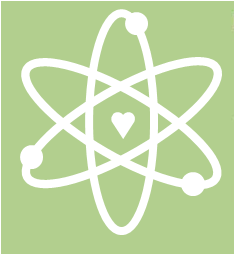 I love your atom with heart logo! Sara, thank you for your wonderful comments and your incredible wisdom. The idea of the wounded healer is fascinating and not something I have heard referenced in the spa world before I can immediately sense the ring of truth about what you say. There is a wonderful synergy between my blog and your blog and so I hope that readers of my blog (especially from the spa industry) will explore your blog and see how some of these similar issues are addressed from your perspective. You touch on so many things in your comment, many of which I know you have explored on a deeper level in your writing. I look forward to continuing to share ideas on this.